François Auguste René Rodin was born in Paris on 12 November 1840 into a modest household. After a short period in which he attended drawing and moulding classes at the École Impériale de Dessin, the artist mostly trained as an autodidact after failing to be admitted to the École des Beaux-Arts and refined his technique working as a craftsman for a number of decorative workshops. In 1871 the sculptor moved to Brussels where he achieved public acclaim with the marble Man with a Broken Nose that he exhibited at the 1872 Brussels Salon. In 1875 Rodin travelled to Italy where he remained almost a year, studying the classical examples of Donatello and Michelangelo. There, the artist conceived his first celebrated masterpiece: The Age of Bronze which he presented in its first state at the 1877 Parisian Champs-Élysees Salon under the title of The Vanquished. The year 1880 marked Rodin's official recognition by the French State, which commissioned him a monumental doorway for a proposed Museum of Decorative Arts that never came to be realised. The gate, credited as one of his major achievements, was given the title of the Gates of Hell During the extended genesis of the Gates of Hell, Rodin produced a great number of figures that he often retouched and later recontextualised as independent works, such as by the several versions of both The Thinker and The Kiss. In 1884 Rodin was requested by the mayor of Calais to execute a memorial that would celebrate the sacrifice of The Burghers of Calais. The massive sculpture was presented at the exhibition Monet-Rodin that opened in Paris in 1889. 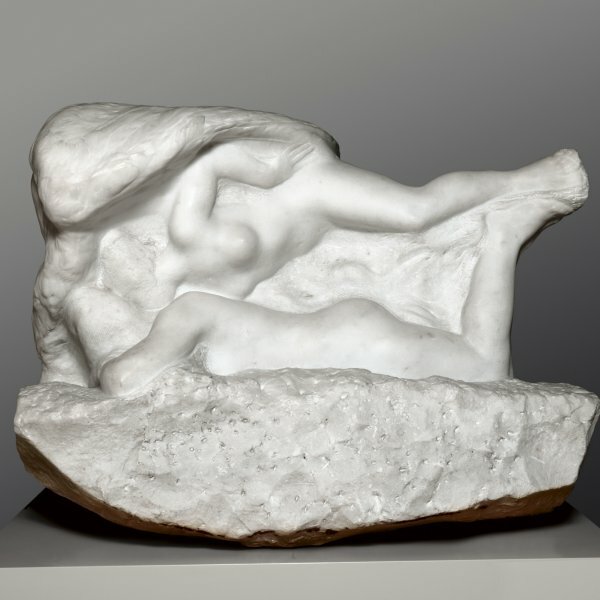 In 1890 Rodin, together with Carrière, Meissonnier and Puvis de Chavannes, founded the Société Nationale des Beaux-Arts. By that time, Rodin's growing notoriety among the middle and upper classes brought him a number of portrait commissions for both private and public display, which culminated with the execution of the Bust of Balzac in 1898. The sculptor's first major exhibition was held at the 1900 Exposition Universelle where he presented more than 150 works. In that instance Rodin gained a remarkable success among both the French and the foreigner public, enacting a sequence of shows throughout Europe. In 1917 Rodin married his long-life companion Rose Beuret and died shortly after at Meudon on 18 November 1917. 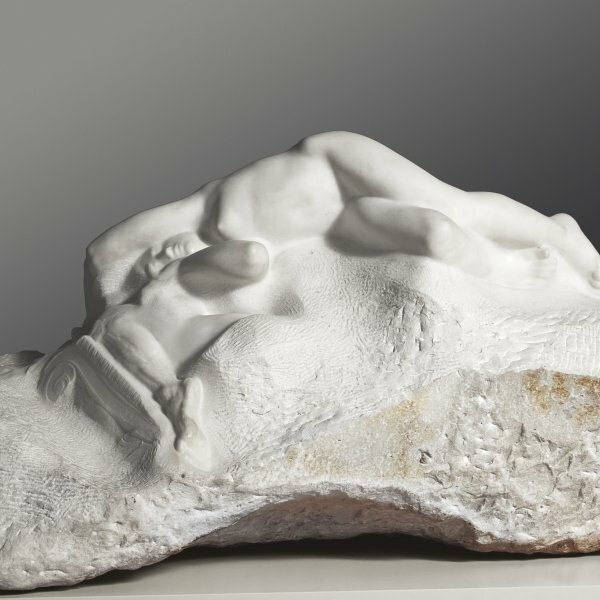 Greatly extolled during his lifetime and repeatedly awarded with public commissions, Rodin's potent expression has been often compared to the unchallenged magnitude of Michelangelo's talent. His work often raised inflammatory debates on the fact that numerous pieces were completed by his workshop, for the overwhelming quantity of commissions prevented him from finishing them personally. Nevertheless, Rodin's original inventions ineluctably contributed to restore sculpture to a primary role amidst the Fine Arts.